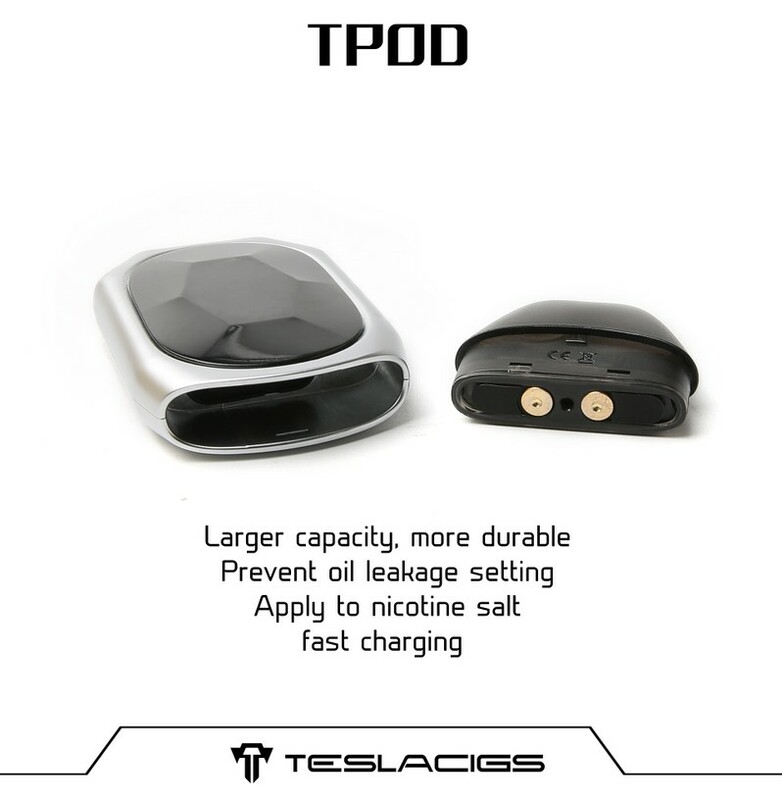 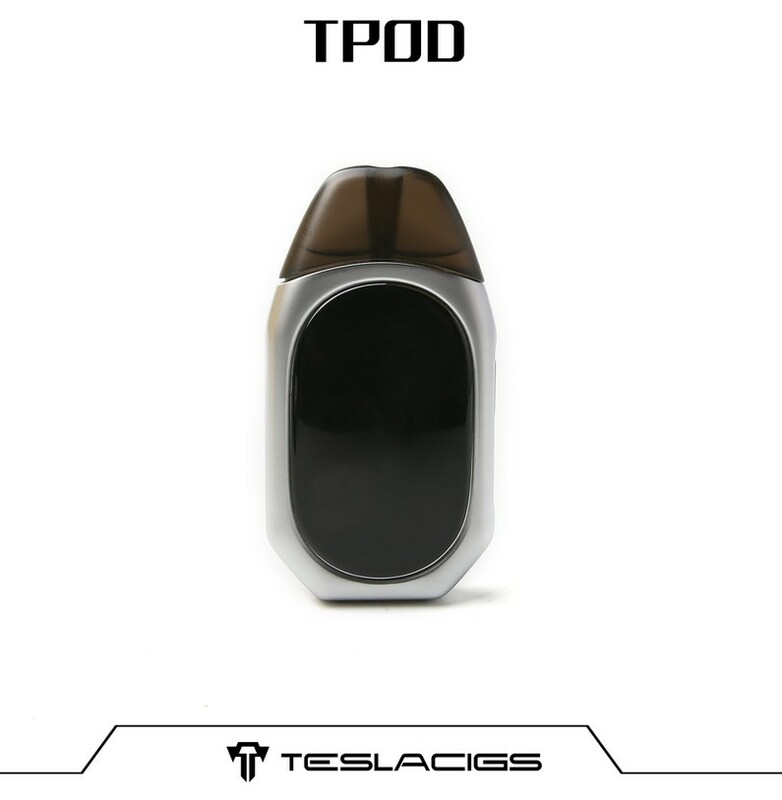 Teslacigs TPOD Kit is the first pod kit with big display screen in the electronic cigarette industry. 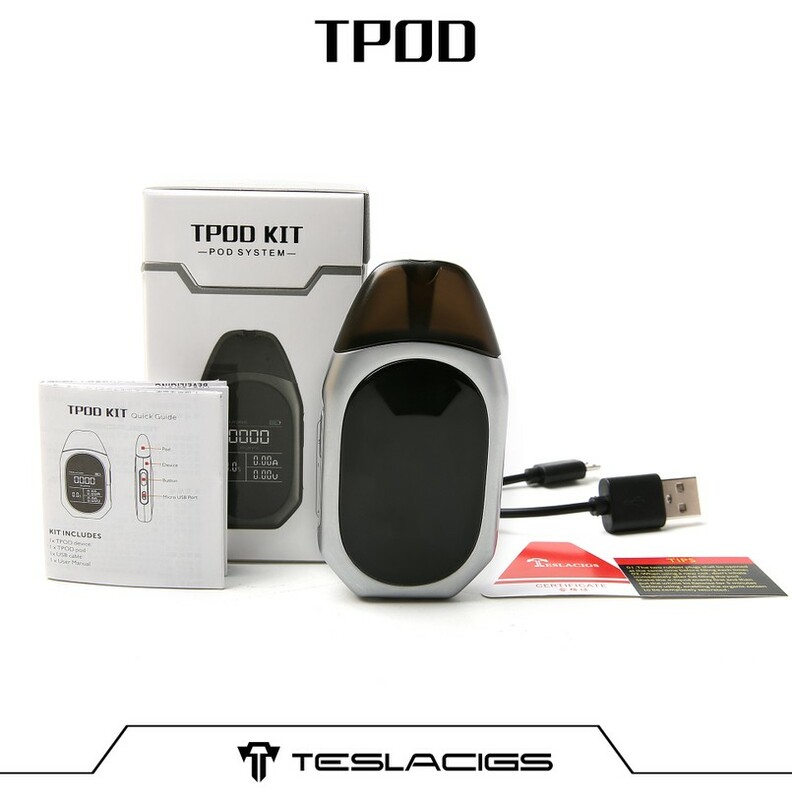 It is implemented with 500mAh rechargeable battery with 2mL refillable pod cartridges and the utilization of Zinc Alloy+PC, the overall layout of coordination. 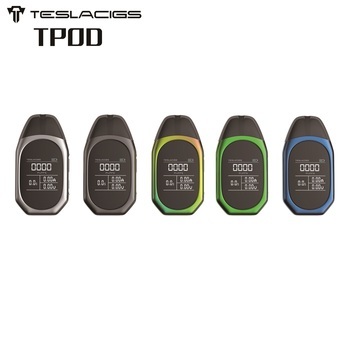 Most important, there a big screen to show quantity of power, puffs, Output Current and how many times you have used. 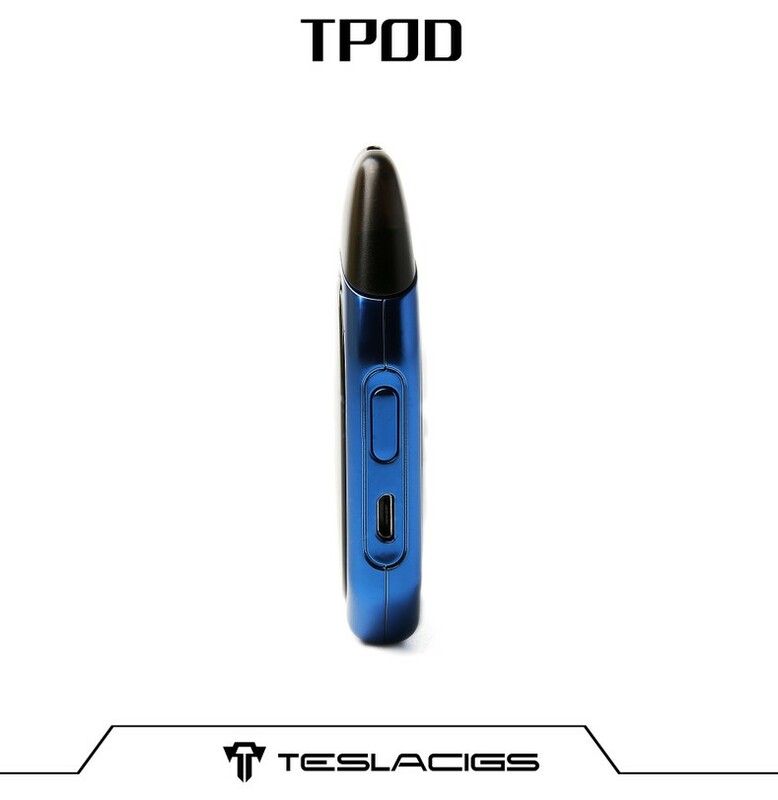 Tpod is easy to put in hands and in the pocket, it like a car key, you can carry it everywhere and enjoy premium flavor.